TC50 DemoPit company AskYourTargetMarket is hoping to simplify market research for businesses and solutions by offering a comprehensive platform where businesses can both create and deploy surveys. Since the site is in closed beta, AskYourTargetMarket has offered 500 invites for TechCrunch readers. Each invite comes with a free survey package for up to 50 respondents; enter the beta code “TC50-2009” here. The site lets you define your target market demographic, then write a survey to distribute to focus groups. Because you are able to target a particular group, you don’t have to waste space on your survey with demographic questions. 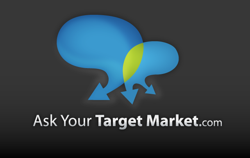 Once your survey is finalized, AskYourTargetMarket will launch it to your desired demographic within their consumer panel for as little as $29.95 for 50 respondents. The site, which says it has thousands of U.S. consumers on their survey panel, draws its respondents from its sister site, InstantCashSweepstakes.com, which offers users a cash prize incentive for filling out surveys. AskYourTargetMarket is also developing its own “worker site” where members will get paid per question and will be ranked by a detailed algorithm which will determine their pay scale per question. Once your survey has been deployed, results can be delivered in a few minutes up to 72 hours. 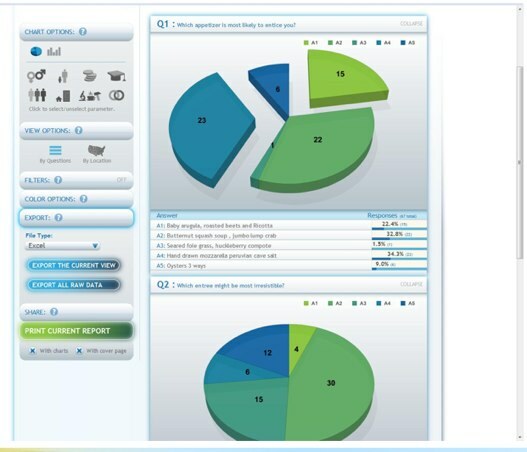 Upon receiving the results, the site will offer you tools to create a easily shareable report with analysis and distribution of the results, through charts and graphs. While the company hasn’t tweaked its pricing yet, its founders tell us that they hope to provide survey options with up to 400 respondents under $100. This price point is definitely appealing considering how expensive it can be to conduct market research. SurveyMonkey (which is growing fast) and Survs.com offer in-depth survey options but don’t offer AskYourTargetMarket’s consumer panel.